One of the problems with having carpets throughout the home is the problem of having them cleaned. They tend to pick up and hide a lot of dirt and odour, taking a real battering over the course of time. Carpets can easily lose their natural colours due to wear and tear but this vibrant colour is still there underneath all of that embedded dirt. That is why we are here to help assist you in your carpet cleaning Lambeth. We have years of experience in carpet cleaning and have made hundreds of peoples’ homes look and smell even better after spring cleaning their floor coverings. If you would like to take full advantage of our fantastic range of Lambeth carpet cleaning services then do not hesitate to contact Lambeth Cleaners via telephone on 020 3743 0205 so that we can arrange a free estimate that is tailor made to your needs and budget. Why pay more for a cleaning service that you simply do not need or want? You can rest assure that we only hire expert carpet cleaning Lambeth professionals to carry out all of our work for our clients. They have many years’ experience in the field and have the knowledge of how to make your carpets look and smell brand new. We custom make each service to each of our clients’ individual needs- working effectively at a time which suits them best. We know that our clients are very busy people and do not have the time to either clean their own carpets or wait around for a carpet cleaning company when they have better things to do. So take all the hassle out of doing your own SW9 carpet cleaning and put your feet up as our expert carpet cleaning team make light work of your carpet cleaning SW9. 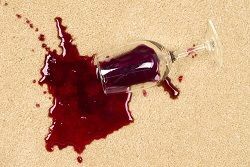 We will remove all stains and odours that are lurking deep inside the carpet with our specialist tools and products. 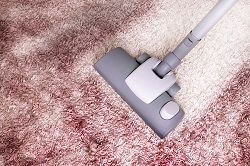 Life is far too stressful as it is to worry about cleaning your own carpets and that is why our service is so popular. Besides you deserve to live in a home that has bright, colourful and clean carpets that can leave you breathing easy so that you can well and truly relax in a home that you can be proud of. Looking for Expert Carpet Cleaners in SW9? Look No More! Not only is it important that your carpets remain looking good aesthetically but it is even more important that they are not a health risk to you, your friends and your family. There are many illnesses that can be attributed to having an unclean carpet in your home. As carpets naturally attract dust and dirt, they can be a nightmare for anyone who may suffer from allergies. Likewise the dust and dirt caught in the carpets can make the air difficult to breathe for those with respiratory illnesses such as asthma. This is especially true if you have dogs, cats or other animals in your home. The hairs and dirt that they bring with them can build up to become unsightly as well as a hazard to your health. Do not leave your friends and family at risk from such illnesses. It may just make them sneeze every so often or it could lead to more serious problems in the long run. This need not be the case and if you call our specialist SW4 carpet cleaning company we will make sure that this is not so. Lambeth Cleaners can provide a comprehensive carpet cleaning SW4 service, so call us on 020 3743 0205 right away for your free estimate. Company name: Lambeth Cleaners Ltd. Description: Amazing cleaning service SW9 provided by dependable and experienced Lambeth cleaners who use modern cleaning techniques and cleaning products SW4.